Sunny spacious holiday home in garden setting. Wifi Broadband. Flat-screen TV. Close to airport,University, College of Education, Burnside High and Jellie Park. New kitchen. Tastefully decorated with lovely indoor-outdoor flow for holiday barbeques. Cosy log fire in winter. Ideal for a small group of friends or two families but equally suitable for a couple. Close to park,playground, mini-golf,cycle park, Antartic centre,Russley Golf Course and swimming complex. Fully fenced and safe for children. Near Avonhead Mall and Fendalton Mall. On bus routes to airport (less than 5 minutes), city startup mall, University, Riccarton and Northlands Mall. Well equipped and fully walk in. Separate shower and bath. Lots of information about things to see and do in Christchurch. This house has a lovely garden setting and is very suitable for families. Ideal home for people needing temporary accommodation while EQC repairs being done. Quotes available for insurance companies. Two heatpumps/air conditioners and an HRV ventilation system ensuring a warm and dry house. Only fault is the driveway is narrow and close to traffic lights. Only fault is the driveway is narrow and close to traffic lights. Nice house and very cosy. Glad you enjoyed your stay and loved the house. We have now installed a turning area to make it easier to get in and out of the driveway. Property was well-stocked. It was essentially a full house which made living there very cozy and comfortable. Great property! Lots of sun and spacious living areas. Great property! Lots of sun and spacious living areas. Great value in my opinion. All the main things very modern and in excellent condition. Very well equipped and with a few nice extra touches too. 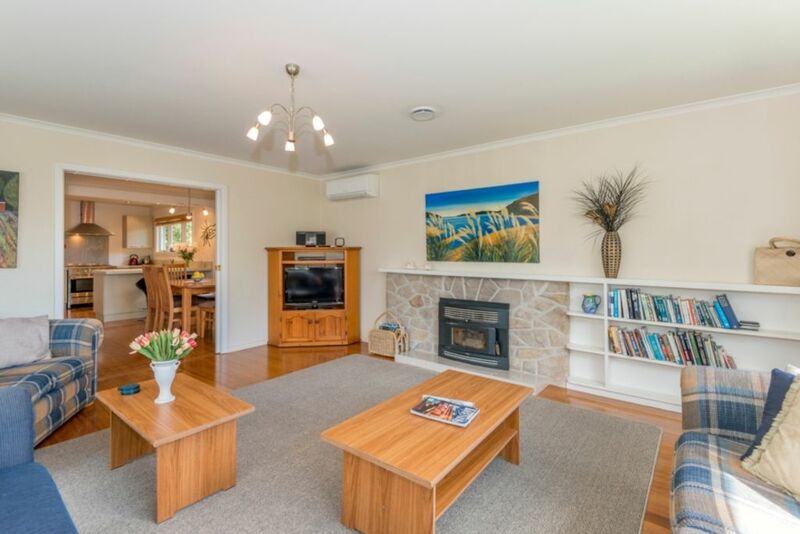 Great location for airport and not far at all from centre of town. Fantastic property to book. Close to everything and easy to find. Very comfortable and relaxing. A beautiful out door entertaining area for relaxing in the sun and even though on a busy road it was quiet and secluded due to the fences. We booked the house for family from the North Island attending our sons wedding and they all really enjoyed the house and grounds. We would recommend this property very highly. We found this property very good value for money, well serviced and maintained. Our host was wonderfully accomodating and freindly.